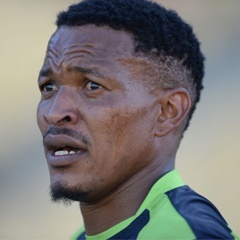 Cape Town - Ex-Orlando Pirates winger Tlou Segolela is reportedly eyeing a move to a club in Thailand after he was released by Polokwane City at the end of last season and has been clubless ever since. The 29-year-old made over 100 Premiership appearances in Bucs colours during his six-year spell at Mayfair and scored in the double figures as well. After being released in 2015/16 by the Sea Robbers, he joined City where he made just six league appearances for Rise and Shine before being let go once again. In addition, he is a Bafana Bafana international with two goals to his name. Despite a proven track record in the PSL, he has been unsuccessful in finding a new team domestically and is now looking abroad to continue his career. Soccer Laduma report that a move to Malaysia had been on the cards, but nothing transpired. Nonetheless, it seems Thailand could be his next port of call if everything goes according to plan. The publication said that "sources close to the player suggest that arrangements are being made for him to leave for Thailand in the coming weeks."